Let me start by saying this is not a paid endorsement. I'm not receiving complimentary banana crunch smoothies or green wrapped burritos for saying some nice things about this eating establishment I discovered earlier today. I just feel compelled to share a fantastic new option in downtown Fort McMurray. Just two days ago, I had never heard of Freshii. I had been invited to a Power Up! 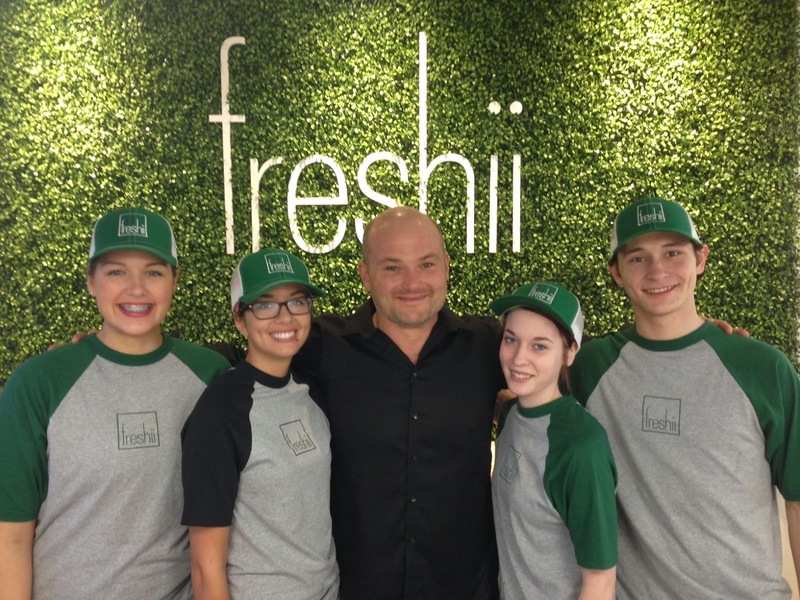 breakfast with KAOS 91.1 by Rick Kirschner, with the location listed as Freshii. 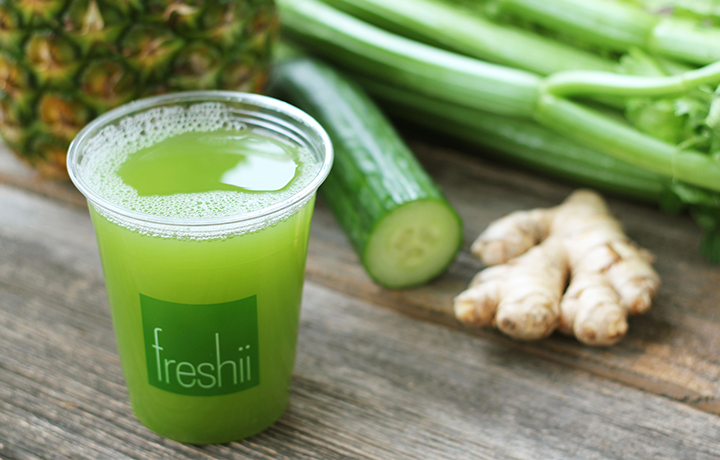 "What the devil is Freshii? I asked myself. When in doubt; google it. So I did. The know-it-all search engine said it was on Franklin. I must have misread the directions, because when I rolled up to the Peter Pond Mall at 8 am, it was pretty obvious I was in the wrong place. "Can I help you?" asked the security guard, popping his head out of the still locked front doors. "Yah," I said. "I'm looking for a new restaurant called Freshii. Do you know where it is?" A second security guard piped up saying that it was over behind McDonald's in the Tamarack Village. The moment I walked in, I knew I was in a place that would make my diet-focused soul very happy. There were wonderful pictures of healthy ingredients along one wall, and bright and smiley people putting tasty smoothies and breakfast burritos together behind the counter. I was pleased to meet franchisee Chris Burrows who happily launched into his pitch and offered up a sample of their Freshii Green Smoothie, consisting of kale, spinach, pineapple, avocado and low-fat frozen yogurt. He had me at "low-fat". "What if I said to you that I'm on a very specific carb-free diet? Could you help?" "Absolutely," said Chris. He showed me a collection of small clipboards with a checklist that you can fill out to ask for exactly what you want. I brought Heather and Ben to Freshii for dinner, as they both appreciate healthy food choices. Ben had the Tex Mex Burrito while Heather ordered up Buddha's Satay bowl. I had a green leaf wrapped burrito with quinoa and a variety of Ideal Protein approved veggies with a zippy BBQ sauce. There were smiles all around, satisfied tummies, and delicious delight that an outstanding food choice is now up and running two blocks from our house and three from the office. "This is just the beginning," said Chris. "We're looking to open three or four locations in Fort McMurray once we find the right spots." 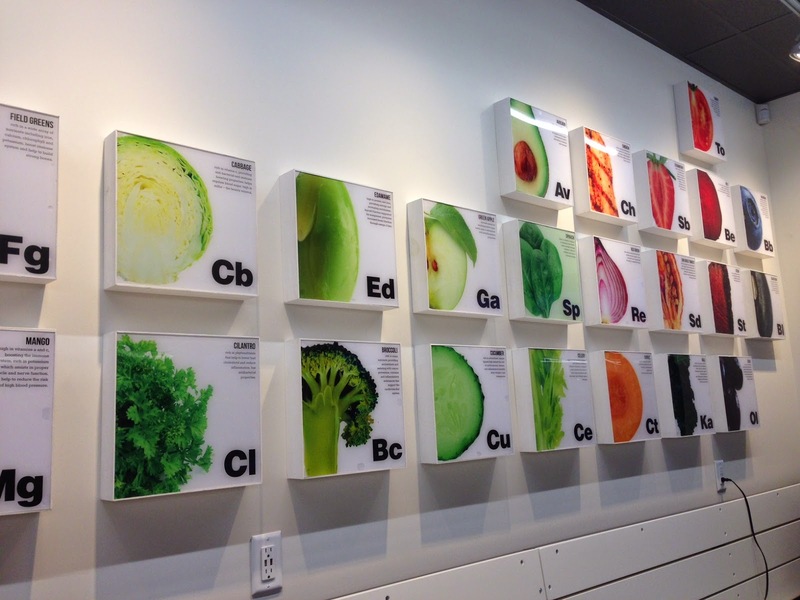 With a menu that boasts "super delicious, nutritious, salads, wraps, bowls, burritos, soups, froyo, juices, and smoothies" along with two key words that are strategically placed through the marketing and the restaurant: EAT and ENERGIZE, Freshii is a fantastic addition, a healthy and tasty alternative. There is also an abundance of green on the menu, which makes me very happy, and not just because I'm a Roughriders fan. I'll leave it at that, and flip over to my browser to google "froyo". I am at a loss as to what that might be.